Arlo was originally published on January 31, 2009. It was substantially revised and re-posted on February 1, 2016. Ends in ‘o’ names for boys are quite stylish today, and this one is no exception. 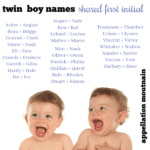 Thanks to JNE and Christina for suggesting our Baby Name of the Day. Even if you’re more into Britney than bluegrass, you’ve probably heard of Arlo Guthrie, the American folk singer. Tune into many a radio station on Thanksgiving Day, and you’ll hear Guthrie’s famous “Alice’s Restaurant.” The song lasts for 18 minutes, 34 seconds. And yes, his Alice is a real person – but she runs an art gallery. Guthrie was born in 1947. He was actually a late example of the name. Arlo reached a highpoint in 1915, at #667 in the US, after first cracking the US Top 1000 way back in 1900. Novelist, poet, and newspaper editor Arlo Bates, born in Maine in 1850. World War II Medal of Honor winner Arlo Olson. There were others, too, but this name was nearly extinct by the 1960s, and remained so well into the 1990s. Only around 2004 did the name show signs of a comeback. More on the numbers in a minute. It could come from the Italian form of Charles, Carlo. It might be a a form of the English surname Harlow, which may mean fortified hill. In Edmund Spenser’s The Faerie Queen, Arlo Hill is “the best and fairest hill” and is surrounded by “faire forrests.” Scholars believe Spenser was inspired by a real location, possibly Ireland’s Glen of Aherlow. One more twist: Mr. Bates, one of the earliest Arlos I’ve found, was almost certainly given an invented name, as was his father, Niran. He continued the tradition, naming his son Oric. It’s possible that the author inspired parents to borrow his unusual given name. In recent years, this name has become more popular than it was way back in the early 1900s. In 1915, Arlo reached #667. By 2014, it stood at #539, surpassing its previous peak. A small number of parents have used this name for girls, too, including Leighton Meester and Adam Brody’s Arlo Day, born in 2015, and Johnny Knoxville and Naomi Nelson’s Arlo Yoko, born in 2011. Characters have also worn the name on a later season of Fox’s 24, FX’s Justified, and a handful of minor roles, too. 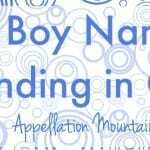 Overall, it’s made for a boy’s name that feels upbeat and accessible, novel but not nouveau, and cool without being too edgy. 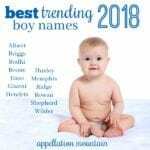 While the name is definitely catching on, there were just over 500 newborn boys given the name in 2014 – that’s a far cry from over 1,100 Milos and nearly 4,000 Leos. 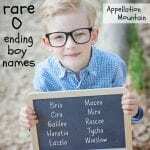 Would you consider Arlo for a son? Have you met any boys by the name? My son Arlo was born on New Years Day in 2002. I love his name to this day, most people think know it’s a cool name! My love for this name keeps growing. 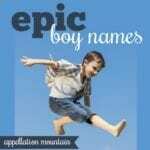 It’s probably my favorite short name for boys. When our son was born we picked Aurelio Robert from our list of names also because it can be spelled the same in most cultures (i’m Italian, my husband’s American), although for the US side of the family we immediately directed them to Arlo as a nickname. Its easier for them, its still melodic and every-other-letter of the longer name (I am not a fan of diminutives as ‘official’ names) and this way I did not have to renounce to the meaning of a name I loved (meaning aside I am not a huge fan of Carlo). We did not pick Aurelio just because of the Arlo nickname but it seemed a natural and plausible connection between the names. Any thoughts? I think that’s quite lovely. Aurelio and Arlo are both great names, and Arlo follows logically from Aurelio – even if they’re not technically related. Crossing language and cultural barriers can be challenging – it sounds like you’ve found a very graceful way to do so! Thanks, we’re very happy with it, selecting a name was not an easy process for us. Other than Arlo the name Aurelio is proving to have several other good nickname options so we’re really just spoiled for choice, Arlo’s still my favourite, but we’ll see what he and/or his friends think as he grows. 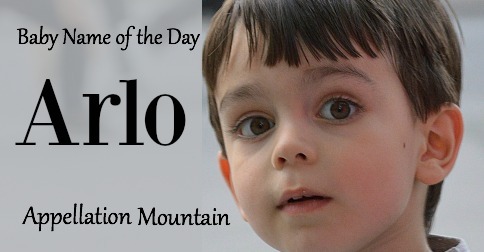 Do you think that you could use Arlo as a nickname for a kid called Carlsen? That’s a family name which I would love to use but I don’t like the nn Carl. Seeing that Arlo is also a variant of Charles then I’m thinking in a way it kinda does relate. What does everyone else think – too far fetched? I think it would work. There’s no doubt in my mind that Carlo would work, so why not Arlo? I’ll say this about unusual nicknames: it helps to get them out there early, like birth announcement early, and reinforce them consistently. i’ve been thinking about this name soo much! i like it more and more all the time. At first, I didn’t think it had the same feel as Milo, but it does. It’s a little more rugged to me though, I think it would age better. Milo sounds like a little boy to me. Arlo still has that happy, fun sound, but would make a much better adult. I’m really loving it… It’s one of my favorites now. I really like Arlo! I adore it as a given name, but it’ll always seem a bit feminine to me because I knew a little girl named Charlotte who went by Arlo. You know, chARLOtte? 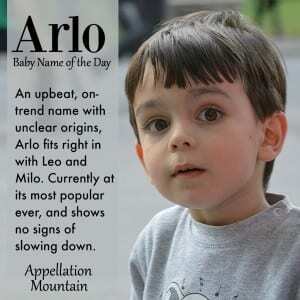 Either way, I would love to meet a child named Arlo. I was thinking exactly what Nessa stated: Arlo could either be really cool, or incredibly dorky 🙂 … either way, I do like him. my husband saw this page open and said “ooh, Arlo, I like that”. Shocked me. I had never considered it, but it’s cool. I imagine an Arlo would be either really cool, or a big nerd. I’m putting him on my list. Since we’ve decided on Dashiell, I’m constantly looking for a boys name that could be a brother for him (not that that’ll be an issue anytime soon! ), Dash and Arlo works pretty nicely together, i think. Thanks Verity! I adore Arlo. For me the “-ar-” sound in a boy name is extremely appealing – not sure why, but it is (I also like Harvey, Barnaby, Charles, but not Arnold – I think that the ending there ruins Arnold for me). We have family friends who used the name (their second, Jake, was a bit of a naming let-down for me after that). It seems like a thoroughly wearable name – not too childish for an adult or to adult for a child. For me, Arlo is both British and salt-of-the-earth sounding… kind of like another -ar- favorite already covered wonderfully by Verity – Jarvis. Guthrie isn’t enough of a feature in my life to put me off of the name as it is for Lola… but it would likely lose out to Jarvis (partly because of our friend’s use of the name). But I would LOVE to meet more little Arlos! my son is names Arlo Jarvis born 2001! I love Arlo! He’s on heavy rotation ’round these parts. Especially around Thanksgiving * Christmas (the Motorcycle song is a Christmas favorite of the boys’) One of the few artists I liked before he did. He’s not in play for us because of Guthrie. Too famous for us and very “one man” name right now. And he’s only 62, so it’s likely to be awhile before I’m allowed to consider it for a child of ours but oh, how I love Arlo! Happy, cheerful feeling and definitely creative sounding. Very awesome indeed. Laid back, serene and sweet. Arlo’s got all the hallmarks of a winner for me. I’d love to see someone else use him! […] the wayback machine: in 2009, I wrote about Lunette and Arlo.